Real estate purchases by foreigners in Turkey doubled in 2017 compared to the previous year. General Directorate of Land Registry and Cadaster general manager Mehmet Zeki Adlı provided information about the real estate sales to foreign nationals from Turkey in a statement. 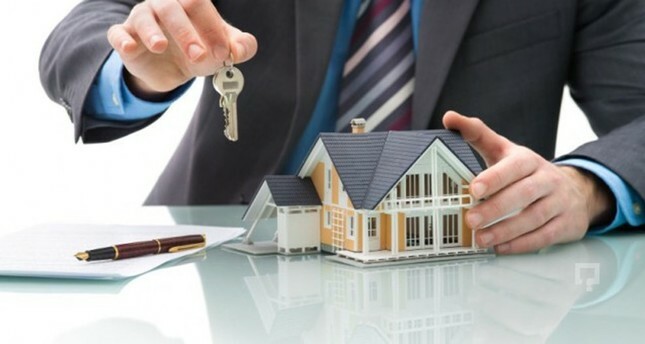 Recalling that some limitations related to the real estate sales to foreigners were lifted, Adlı noted that 147,924 foreign nationals have acquired 68,319 immovable properties in Turkey so far. He added that 24,111 foreigners bought 15,508 properties according to last year's figures. Adlı said 1,394 foreign nationals bought immovable properties in January of last year, while this figure rose to 2,027 in January of this year. "Here we see an increase once again. Foreigners' interest in Turkey has increased. Turkey is a place admired in all aspects especially by Westerners. It has plenty of sun, sea and oxygen," General Manager Adli said, stressing that there is a demand especially from developed countries. "Although there has been some negative propaganda in recent years, those who come and live see it is nothing like that at all. Therefore, people are comfortable, which in turn reflects in these figures." Giving information on the total sales prices of investments belonging to foreign nationals, he said foreign nationals spent $1.6 billion on the acquisition of real estate in Turkey in 2013, followed by $2.8 billion in 2014, $3.8 billion in 2015 and $3.5 billion in 2016, while in 2017, this figure almost doubled to $6.5 billion.Adlı said on a country-by-country basis Britain leads the way in terms of real estate investments in Turkey with 24,037 people, followed by Russia with $14,199, Iraq with $13,491, Germany with 10,006, and later citizens of Kuwait, Norway, Saudi Arabia, Sweden, Denmark and Belgium. Noting that much of the demand in Turkey came from foreign investors in the European countries especially with regards to the tourism regions, he said Antalya took the lead with real estate investments by 56,364 foreign nationals. In addition to Antalya, 31,361 foreigners preferred Istanbul for real estate investments, followed by Aydın with 16,408, Muğla with 12,258, Bursa with 5,767, Yalova with 4,875, Mersin with 4,304, Ankara with 3,071, İzmir with 2,699 and Sakarya with 2,495 foreign nationals.